I like to think of myself as a man of simple tastes: I like a splash of cold water in my bourbon, medium-rare steak, and a slow burn in my post-apocalyptic, science fiction stories. While I am unsure of Jermaine Boyd’s bourbon and meat temperature preferences, I can say that we agree on our selection of stories. 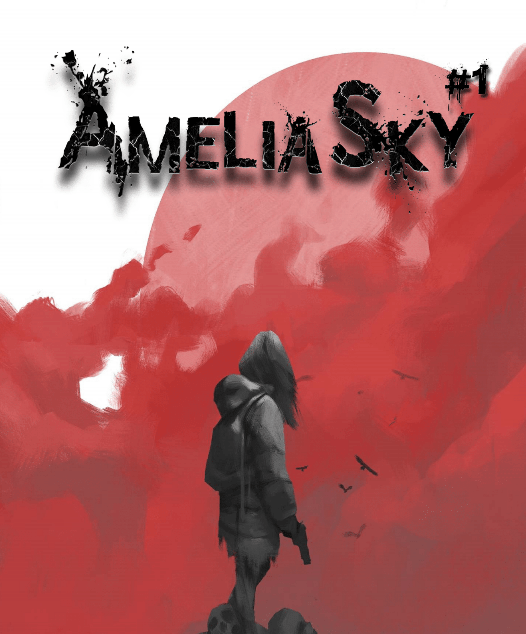 While exploring a time-tested setting, Amelia Sky manages to carve out its own bit of space in a setting that has been almost exhausted throughout modern storytelling. As this story is still ongoing, I will avoid major spoilers and focus this review on the overall story itself and my thoughts on it so far. The story is deceivingly simple in its premise: we are briefly introduced to a small cast of supporting characters that are fleeing from a worldwide cataclysm. Cue in a time lapse where all civilization is eradicated off-screen except for one unique character that survives despite all odds due to some characteristic that the readers will eventually discover as the narrative progresses. Heart breaking separation from their loved ones, add a dog to the mix and you have checked off every heart string cliche available. However, in this story all these are thrown at the reader in such a rapid rate that while noticeable, they don’t take the readers off the story. Panel by panel, we see how Boyd is carefully crafting a narrative that while exploiting established cliches takes just enough detours to keep this story fresh. The great world ending cataclysm is an alien invasion, our entire world is destroyed in a month by giant spiders. Ignoring Ethan Van Sciver’s chuckles and comments that I am sure point out he did it first, Boyd deviates from the established niche just enough to make his story different. These aliens are not a stand-in for some political reflection of our current time, these are just aliens bent on destruction. They prove to be very good at their job. 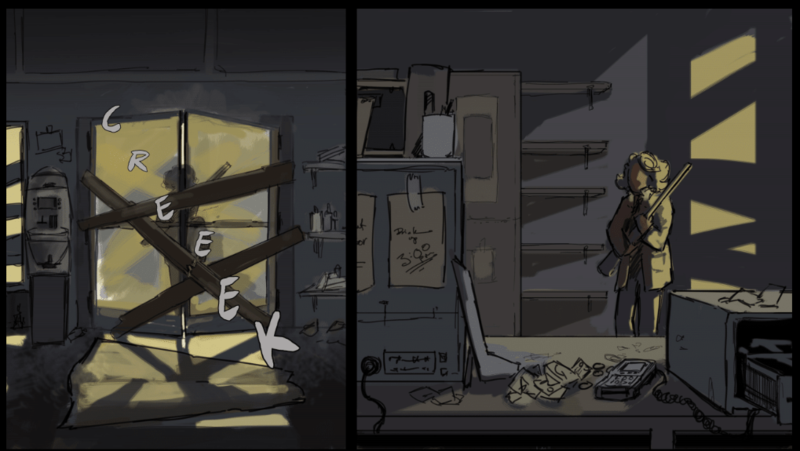 Issue #2 further expands on what makes Amelia such a unique character without revealing too much about her backstory. Along with fellow survivors, Eleanor and Ace, Amelia is learning about this new world just as the reader is learning about it. The rich and powerful were evacuated from the crumbling societies that used to exist, and while we have previously learned that SPAM is indeed eternal, Eleanor’s desperation is palpable. At one point in the story, we see how that desperation drives her into a brief period of despair, just as the issue closes leaving us with a maddening cliffhanger. 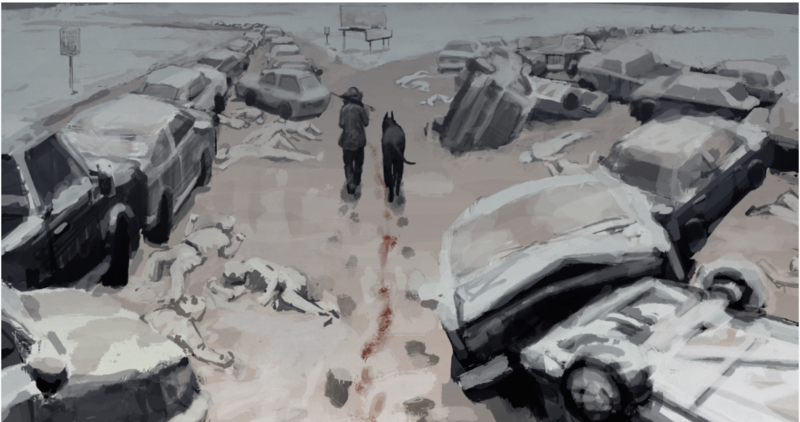 Gywnn Tavares’ art provides the perfect bridge between the story and the medium itself, the color wash in every panel helps to convey that wasteland atmosphere that grabs the reader and immediately plunges them into the story. 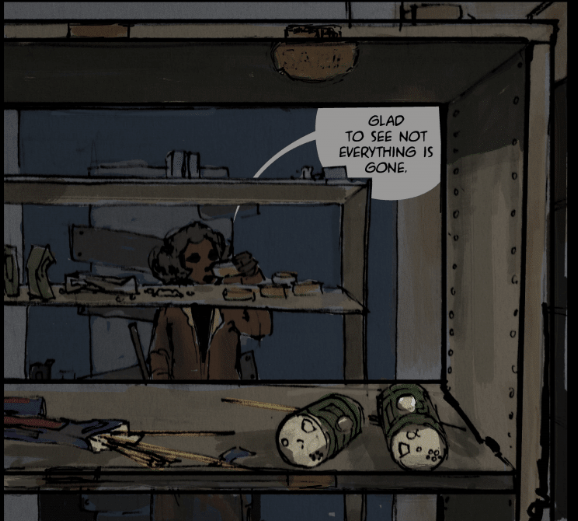 Except for a handful of panels in the two issues that I had the privilege of reviewing, the art is superbly done; this is a broken world filled with desperation and decay which the art style helps to establish from the opening pages. There is one panel where the character’s face goes missing completely. 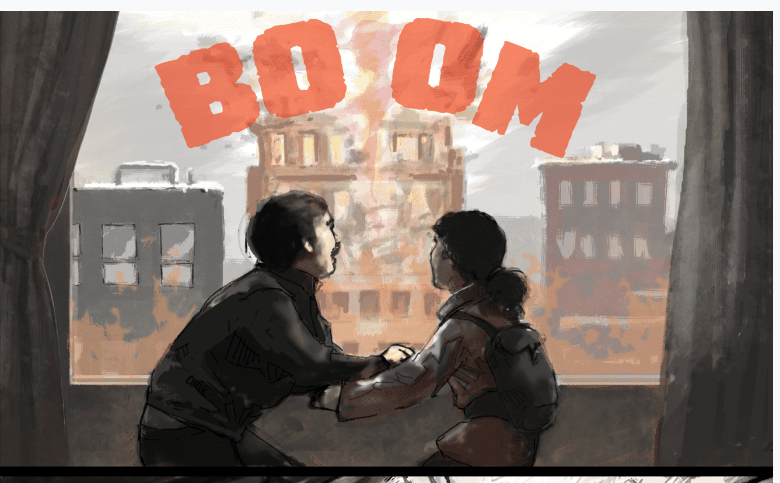 While I would normally dismiss this as an effect to portray distance, a panel shortly after has the same distance yet the face is present. While I freely admit that these critiques are nitpicking on my part, overall I have little complaints for the art style. I wanted to hate this book for superficial reasons, namely how the creators give thanks to a certain pop-culture webpage that seems to think they are Cool (they aren’t), however reading the introduction quickly grabbed my attention. Seeing a creator show appreciation for the customer is a refreshing reminder of how things used to be in the comic book world, and my biases were immediately eliminated. This story is a slow burn, and it feels like it will be a lore-filled adventure that I am more than ready to take part in. For fans of video games like Fallout, this book is definitely for you. I give this book a 4 out of 5 because of its unique approach to a well established niche, small deviations from a well known product that keeps this feeling fresh yet familiar. The art is great overall, the color choices may not be for everyone, but in this type of story I think it works perfectly. Issue #3 is currently being crowdfunded via Kickstarter, the link to purchase your own copy of all issues will be posted below. If you’ve picked up your own copies of issues #1 and #2 already, let us know what you think. PREVIOUS POST Previous post: Why is Hasbro’s Stock Down, But Mattel’s is Up?